PHOENIX – For those hunters who are dragging their boot heels when it comes to applying online for 2019 pronghorn and elk hunts, read on. All online applications must be received by the Arizona Game and Fish Department (AZGFD) no later than 11:59 p.m. (Arizona time) Tuesday, Feb. 12, 2019. 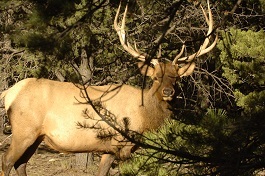 Visit www.azgfd.gov/hunting/draw/ to apply online. AZGFD is available to assist customers with the online application process. All department offices are equipped with customer computers that can be accessed from 8 a.m. to 5 p.m. Customer service representatives can be reached by calling (602) 942-3000.